A flat-rate of R40 per vehicle is charged for public events like concerts and expos regardless of the duration of the time spent at the event. Coach access is provided via the ramp at the main entrance to the Centre in Bram Fischer Road. 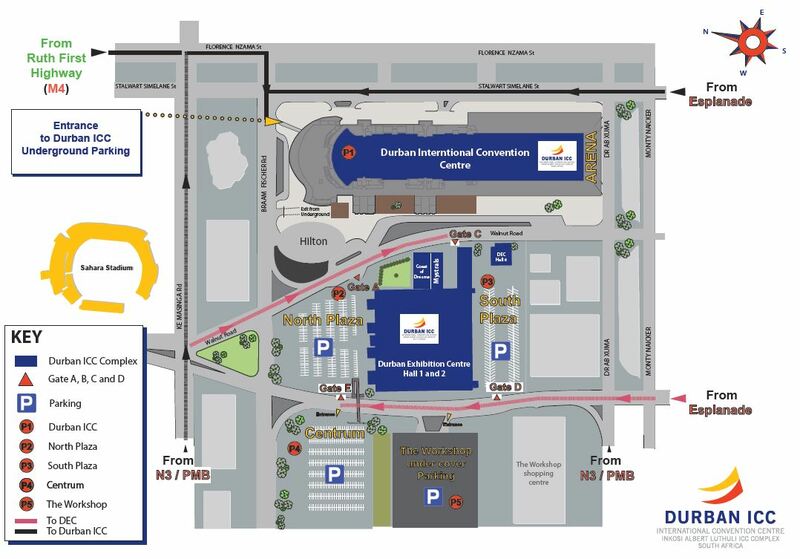 Conference delegates can be transferred directly from their hotels right to the Durban ICC’s front door. Additional overflow parking can be arranged if required.